All Bloggers and Webmasters want to watermark pictures with logos to protect their owned and uploaded pictures. Watermarking is a processes of Placing Website logos on Pictures or Text Links to show your ownership of pictures. There are many software to place logos on pictures or to watermark pictures with text or logos but here is best application to watermark pictures. How to Watermark Pictures and Wallpapers is a most asked question of Webmasters and bloggers becasue its neccessary to place logo or website link on pictures and wallpapers to stop unauthorized distribution of your owned pictures and wallpapers. 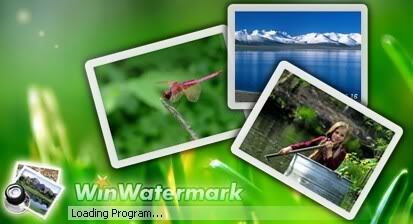 WinWatermark is a useful software to Watermark Pictures and Wallpapers. Its really easy to place logos and text on wallpapers and pictures with Winwatermark software. Not Only Watermarking Pictures, But with Winwatermark, You can add frames to pictures, rotate pictures, resize pictures, adjust pictures according to need, convert your pictures into other formats.